Open 9am to 5 pm every day except for Christmas Day. The Animal Park closes at 4:30pm. Please note that we are CLOSED on CATASTROPHIC FIRE WARNING days! 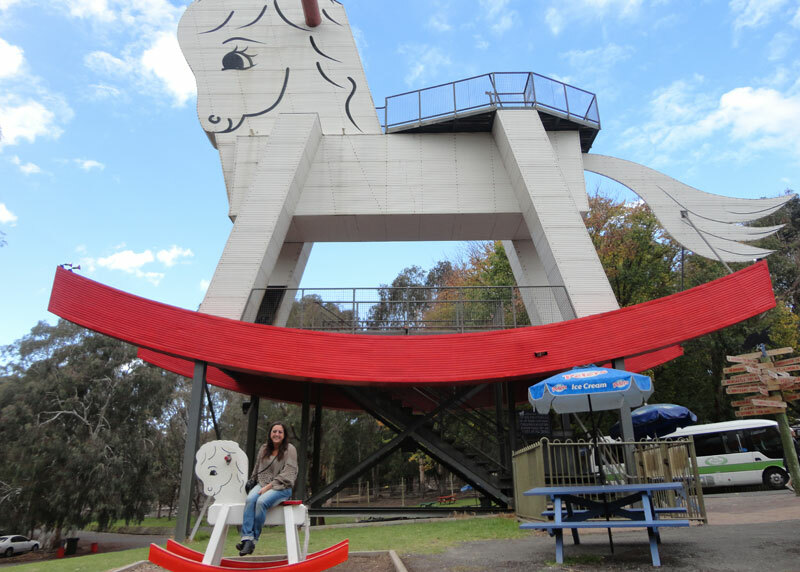 The Big Rocking Horse and the Toy Factory share the same site at Gumeracha, in the glorious Adelaide Hills, only 40 minutes from Adelaide. So come and visit us for fun, educational value and an experience of a lifetime. Yes! It's true. At The Big Rocking Horse we have lots of friendly animals for you to get acquainted with. See how quality wooden toys are made in the working Toy Factory. In the Wildlife Park, come and feed the animals and birds. It is such a beautiful and unique setting, teeming with native flora and fauna. If you time it right, you can also include some breakfast or lunch – our meals are well priced and nutritional. You can also bring your own picnic and enjoy it in our beautiful, shaded picnic area. 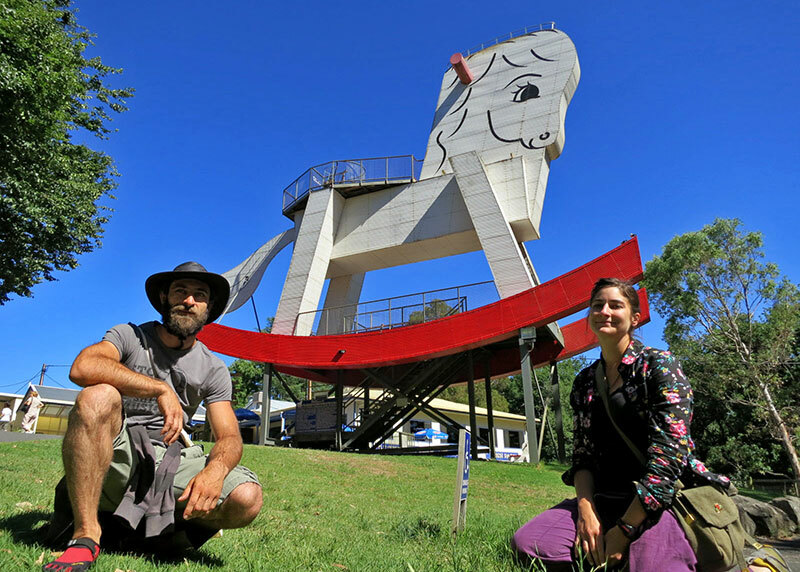 AND of course there is the World’s Biggest Rocking Horse!! You can climb this Australian icon and receive a certificate of achievement upon completion! When you visit The Big Rocking Horse in Gumeracha, SA you can also perform some retail therapy in our shop which boasts a comprehensive range of quality wooden toys which we manufacture on site, as well as a huge and diverse array of other toys, gifts and souvenirs at competitive prices. If you are interstate or just visiting our website then you can use the Online Store to browse our Online Shop! Please note, prices shown include GST, but DO NOT include postage! That's based on where we have to deliver the goods to.